Did anyone else get their Ultratherm this way from The Bean Farm? These things are never supposed to be bent! They were folded in half and shoved into a box two inches wide, which had also been slightly crushed. Seriously ticked off and waiting for the company to get back to me. Last time I got two from Reptile Basics and they sent them in a big flat box so they were not bent. They just didn't have the sizes I needed. That is weird! - I ordered mine from reptile basics, and mine came rolled up. Mine came in a big flat box as well. They wrote back and said they can be "soft rolled" without being creased and be okay. These things were basically folded in half though. Not sure if I feel safe using them but can't afford new ones since the company is blowing me off. wodesorel wrote: They wrote back and said they can be "soft rolled" without being creased and be okay. These things were basically folded in half though. Not sure if I feel safe using them but can't afford new ones since the company is blowing me off. Maybe try reporting elsewhere or have photos of it showing its bent in half? I'm sure you will be covered by consumer laws, especially since it can be dangerous if the internal wires break and melt the plastic or what not. Very dodgy, and honestly its appalling that they blowing you off like this. I agree that is not very awesome customer service. I know this is an old post but I have ordered several ultratherms from The Bean Farm and have never had them arrive bent. 7 PP's, 1 Green Cheek Conure, 1 Parakeet, 1 Ball Python, 1 Western Hognose Snake, 1 Rose Hair Tarantula, 1 Cat, and 1 understanding husband, and a new baby girl! 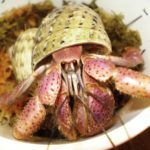 https://www.hermitcrabpatch.com/ This small business helped me out a lot from the very beginning. Well, I am tossing both pads in the trash. I cannot get the new 29 build to stay at temp, it is swinging from 80 to 120, and there are hot spots on the glass of 140. The smaller pad was worse, the hot spot on it was 167!!! I am going back to Flukers. Never had an issue with their products. Have to tear the backing apart to do it though. Not happy. Before you toss it - did you try contacting the company again? I did email them last night. The pads would probably be okay with a good thermostat. I may stash them somewhere for future use, or give them to someone with the right equipment. I brought home a large Flukers last night, but I'll also need the pad on the 10 for full coverage, so will need to wait for the Rug to come up. Hopefully they make it right!! It tends to be the longer ones that get rolled up or folded nicely, but not creased. I wouldn’t need to be concerned unless they’d actually made a crease mark in the heater by folding it. Still, they shouldn’t be handling products if they can’t package them correctly. They wrote back that they did not send them folded and that I must be trapping the heat and using them wrong. I was testing them on open wire shelving! Did not sign an email so I have no idea who I am talking to. Exceptionally poor customer service. Wow. Now they are telling me once again the pad was not folded AND that I can't use a heat gun to measure the temperature because it doesn't work. Still don't have a name of who I am talking to via email. Stay far far away from these people.